Who would have known that on our way to a local bar for a night cap that we would pass a brightly lit window with a line up to the door that stopped us in our tracks long enough to catch our curiosity. And although we hadn’t eaten dinner yet, we thought what the heck, why not just go straight to dessert. 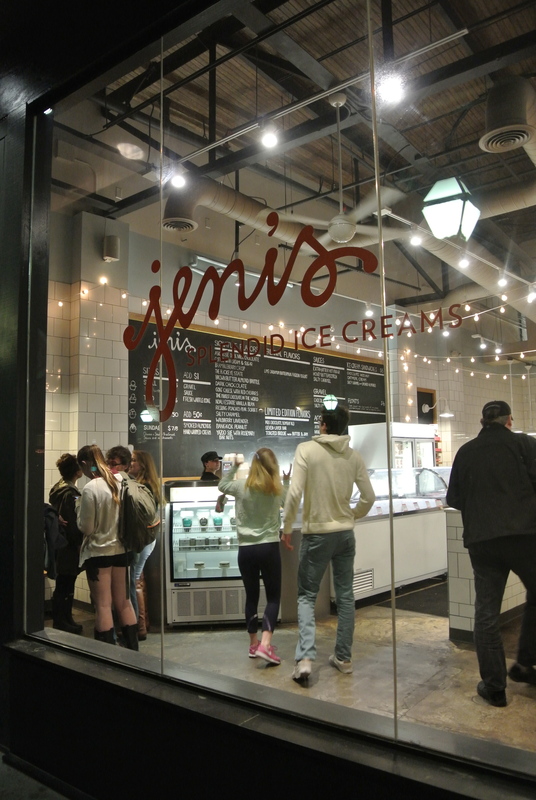 We wanted to see what all the fuss was about with Jeni’s Splendid Ice Creams. We went in and could tell right away that the menu of ice cream flavours was unique with names like: brown butter almond brittle, bangkok peanut and riesling poached pear sorbet. As always, I went for something different and got a scoop of the goat cheese with red cherries (I had a craving for some cheesecake) and a scoop of the lime cardamom buttermilk frozen yogurt. 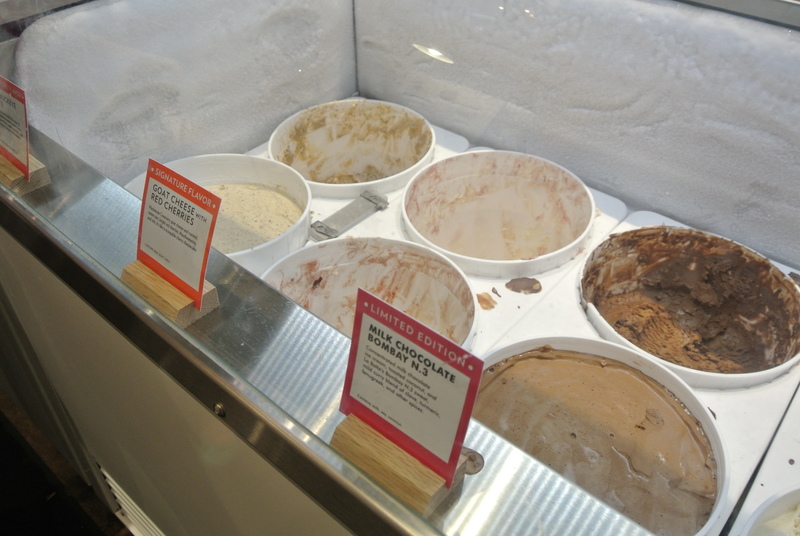 Out of the two, I would lean towards the lime cardamom flavour. I loved the tartness of the lime and even a year later, still liking the aroma from the cardamom spice. However, the best flavour of the night was the Yazoo Sue with Rosemary Bar Nuts that S ordered. Its made with a porter beer brewed by Nashville’s Yazoo Brewing Co., grass-grazed milk, almonds, cashews, peanuts and pecans that are candied with brown sugar and cayenne. A really unique flavour. 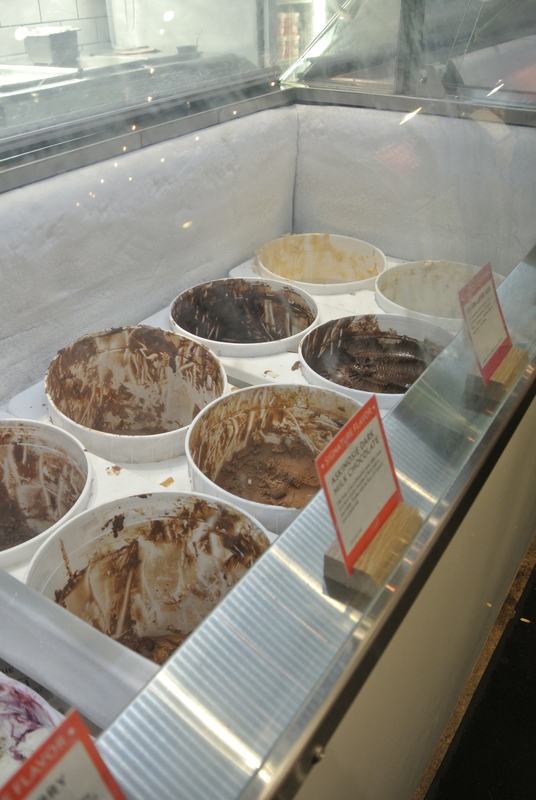 Too bad Jeni’s doesn’t deliver to Canada. 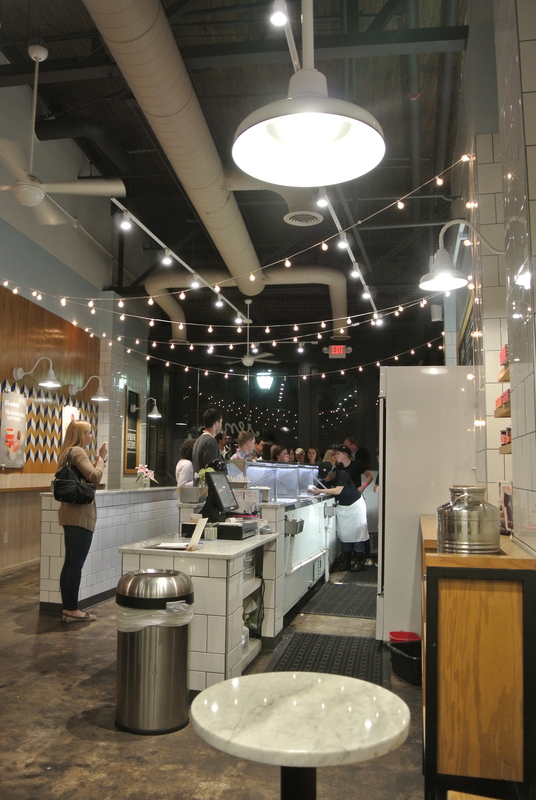 Inside the Jeni’s ice cream shop on the main street in Charleston. 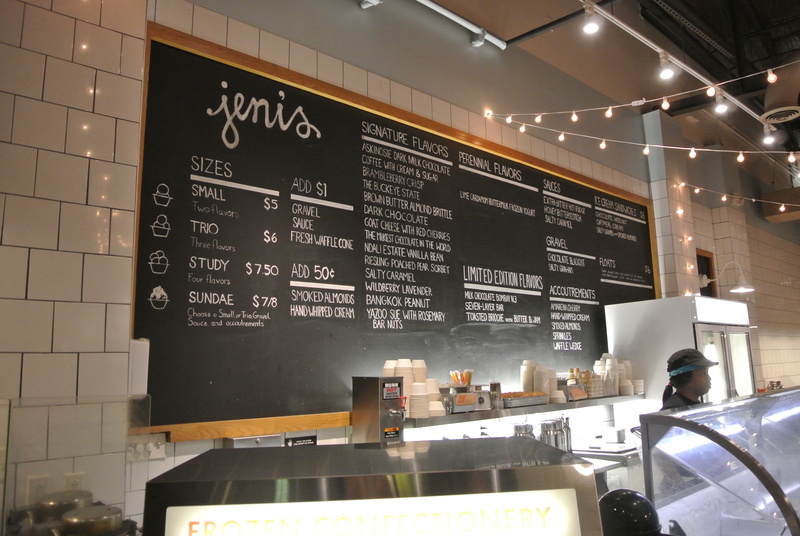 The menu at Jeni’s in Charleston. 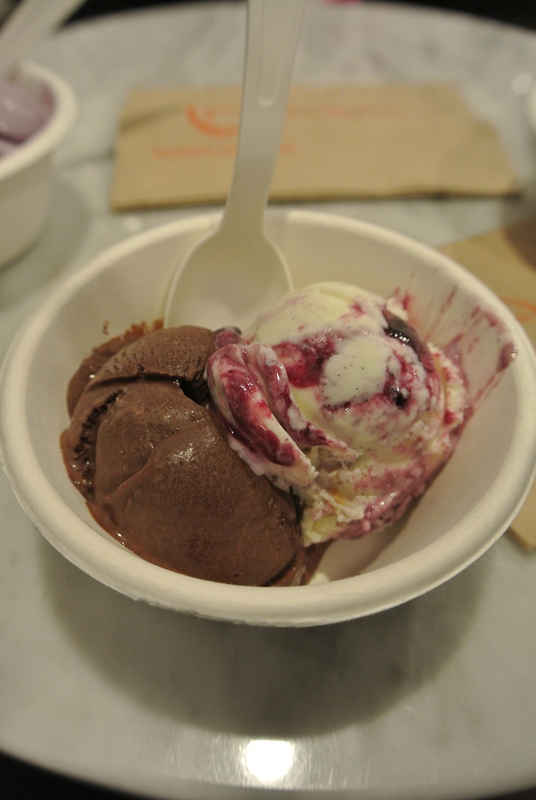 My friend I’s ice cream choices – dark chocolate and brambleberry crisp. 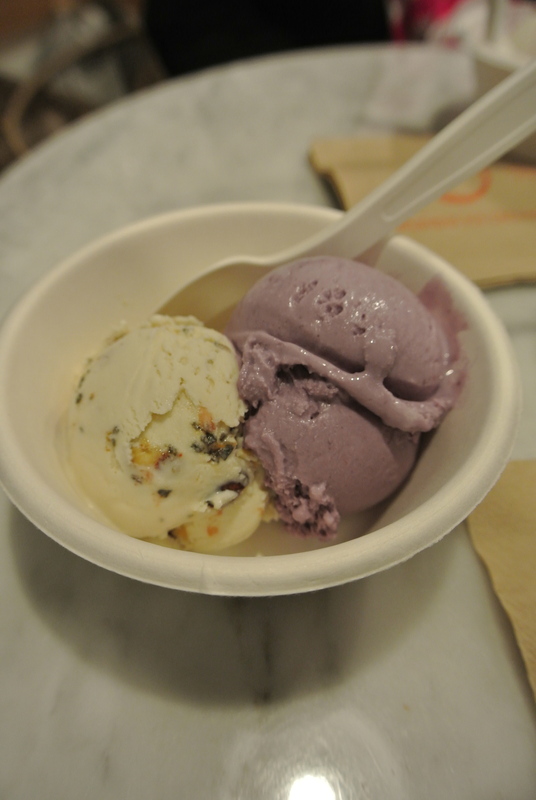 My friend S’ scoop choices – wildberry lavender and yazoo sue with rosemary bar nuts. 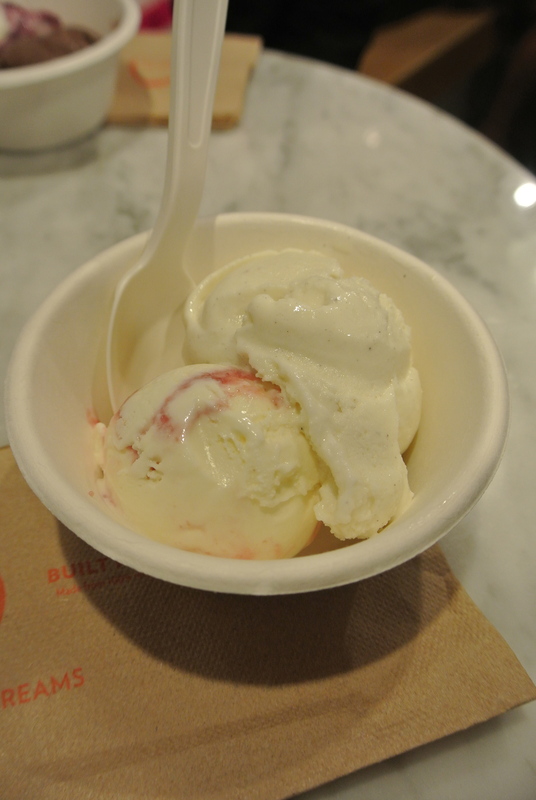 My two scoop choices – goat cheese with red cherries and lime cardamom buttermilk frozen yogurt.